Chef Luigi Diotaiuti is a true treasure to his culinary craft, a mentor to his staff, a giver to children and even caring for the cows and sheep of Italy. He owns one of the premier Italian restaurants in Washington, DC, Al Tiramisu Ristorante, which means “cheer me up” and that is just what he and his team do every day! He is soon to launch a new cookbook.This will be a melding of his life’s story, his beloved Italy, favorite traditional recipes, and most importantly, you, his loyal customers. He is truly a Renaissance Man and what an uplifting experience to have had the pleasure to chat with him before he jetted off to Italy this past Fall. Now, of all of the items I just mentioned, I am sure the “cows and sheep of Italy” had you wondering the most. Am I right? Well, indeed—me too. 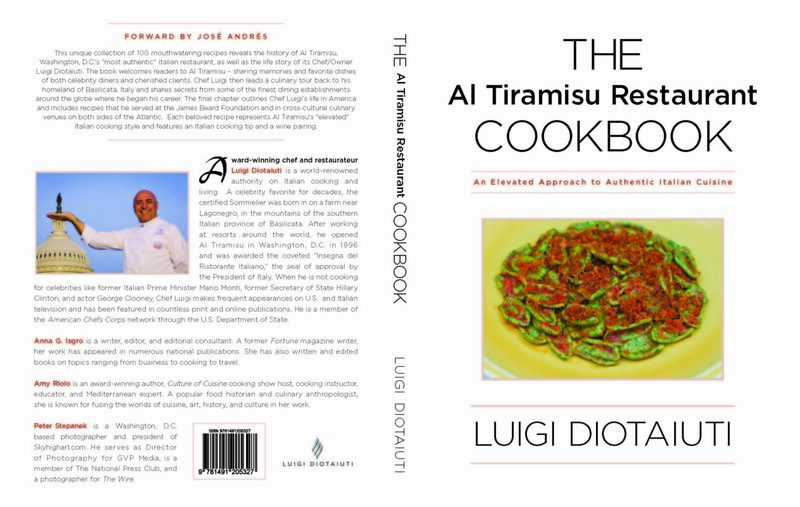 Not only has Chef-Owner Luigi Diotaiuti burnished the Al Tiramisu Restaurant as the most authentic Italian establishment in Washington DC, but he also travels to Italy in early June to help his brother Antonio uphold the ancient Italian tradition of Transumanza. This is an event that was a way of life in Italy for some 3,000 years, yet is in danger of dying out. They preserve the tradition! Conservare le tradizioni…Bravo! Transumanza means “crossing the land.” It’s the nearly disappearing, twice yearly migration of cows and sheep from winter-appropriate lowlands to cooler, high-altitude, lush pastures and back again. It has the full support of the Italian government and each cow has ID “papers” to make this journey—number, date of birth, and health information including vaccines. The “freshest of ingredients” is the most important factor to Chef Luigi in his cooking. He grew up on a farm near Lagonegro, located in the mountains of Southern Italy in the Provence of Basilicata. At home, the only food purchases were: coffee, sugar and salt. Everything else came from the farm— fruits and vegetables, eggs, chicken and beef, and even the herbs. When you grow up like that, everything just has to be fresh. And the Chef uses these experiences to teach children in the local schools (age 5-15 years old) about where food comes from. Eggs don’t come from a store. They come from a hen chicken. Chef gets a kick out of educating kids and opening their eyes to the world around them. This project has been many years in the making. The cookbook is so much more than a book of recipes. This is a story of his memoirs—told in words, but also in rich, detailed photographs. It will include his passions and places, favorite recipes, and how his restaurant started, and up to the current day. It will be a wonderful walk through an Italian sunlit day. The book will be full of stories and delightful experiences for his fond readers to enjoy as they turn the page from spring to warm summer, the fall harvest, and the winter season of brisk blissful evenings around the kitchen table. 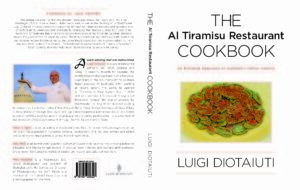 With over one hundred recipes, this is sure to be a coveted cookbook for Luigi’s customers and new friends alike. Here is a sneak peek at his new cookbook! I just ordered my copy and you too can order your just released copy too. Visit Chef’s web site: www.altiramisu.com and scroll down! The Chef’s warm smile and delightful Italian accent set the tone for charm and warmth for his restaurant. This award-winning venue is cozy and joyful—reflecting the effervescent and playful personality of Chef Luigi. The name Al Tiramisu means “cheer me up” and when guests experience his welcoming “buona sera” greeting they know they have arrived in someone’s home. And, yes indeed, they have. I was surprised to learn of the 15-20 “of the day” specials that are offered each evening. That is a gigantic number, above and beyond his extensive list of delicious-ness. The restaurant’s most distinctive food is imported from Italy—a large selection of whole fish such as Branzini and Orata, Buffalo Mozzarella, Sardines, Parma Ham, Porcini Mushrooms, Octopus, White and Black Truffles. Pasta is made fresh on site. “Ragu is made as we did back home in Italy. We grind fine first cut meat with a focus on quality, not quantity,” chef Luigi emphasizes, “which we can do in a small space.” I asked Chef what his favorite dish was and he hard-pressed to pick one. Just like children, we love them all I guess. Some stand-outs include: Linguini with Clams, Mushroom Ragu, Lasagna, and the Gazpacho. But then there is the Red Snapper, John Dory, Sea Scallops, Linguini with Lobster, and summertime Zucchini Blossoms. From September to December they are the only restaurant in town featuring White Truffles. Desserts are where Chef likes to shine. I can just tell that. He knows that everyone is fascinated with the desserts. People smile and the presentation is entirely up to the Pastry Chef. There is a freedom to create something both beautiful and delicious the Chef explains to me. It is so creative and the options are endless. Oh I get it. No doubt about that. Just tasting an authentic Tiramisu, and I am right there humming along. The restaurant has been chosen by The Washington Post as one of their “best bets,” featured in numerous blogs such as FamousDC.com, and is the recipient of the Regione Basilicata “Sapori Lucani” Award, granted to restaurants and chefs best representing the culinary arts of the Basilicata region of Southern Italy. He proudly keeps a huge scrapbook of handwritten notes from happy customers. Happy customers include celebrities, dignitaries and politicians. Regulars include George Clooney, Harrison Ford, Placido Domingo, Michael Douglas and Catherine Zita Jones, Demi Moore, Bill Cosby, Hillary Clinton, Rahm Emanuel, Steve Case, Wolf Blitzer, and Pelé. Al Tiramisu’s kitchen is the scene of cooking classes covering all 20 regions of Italy. Chef Luigi provides a real “flavor” of each region—its history, culture, inhabitants, and food and wine specialties—before students enjoy three courses with wine pairings from the region. Chef Luigi has even hosted cooking classes for elementary school children in the restaurant’s kitchen. Award winning Chef and restaurateur Luigi Diotaiuti is a world –renowned authority on Italian cooking and living. A celebrity favorite for decades, the certified Sommelier was born in a farm near Lagonegro, in the mountains of the Southern Italian province of Basilicata. He completed his culinary degree at the Culinary School in the beautiful seaside town of Maratea. 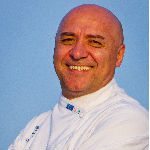 Chef’s formal training experiences include working in renowned restaurants such as: Hotel George V in Paris, the Grand Hotel Bauer Grunwald inVenice, Il Gourmet restaurant and Hotel Bellavista in Montecatini, Tuscany and Costa Smeralda and Forte Village in Sardinia. His commitment to authentic, respectable and sustainable food practices is witnessed through his charitable efforts. Chef Luigi spends the little free time he has attending and conducting demonstrations at farmer’s markets, participating in culinary competitions, and hosting benefit events. He is a member of The James Beard Foundation (where he has been invited as a guest chef), Slow Food DC, The International Association of Culinary Professionals, the Culinary Historians of Washington, Confrérie de la Chaine des Rȏtisseurs (the world’s largest gastronomy organization), is affiliated with the National Concierge Association, and is also a member of Ciao Italia, a Rome-based nonprofit association of international restaurateurs. A born educator, he currently conducts regional Italian cooking and wine –pairing classes at Al Tiramisu. In a medium bowl, vigorously whisk the olive oil and lemon juice with a little bit of salt to form a creamy vinaigrette. Using a mandolin, or a sharp knife, slice the fennel into thin, paper-like pieces. Add fennel slices to the vinaigrette and mix well to incorporate. Divide the fennel onto four salad plates. Arrange the oranges in a decorative pattern around the salad and top the center with an olive. 1. Preheat grill to high heat or preheat the oven to 375F degrees. Juice the reserved orange pieces in a colander set over a bowl. Place orange juice and fish stock in a skillet over medium high heat. Bring to a boil and let cook for a few minutes. Add the corn starch mixture; whisk to combine. Boil for another minute. Salt to taste. Remove from heat and add the 16 orange pieces. If grilling, place the salmon pieces on the grill and cook for about 4 minutes each side, or until just cooked through (this will vary depending on the thickness of the salmon pieces. If baking, place salmon on a baking sheet and bake for 9 to 10 minutes, or until cooked through. To serve, place salmon in the center of the plate with the 4 orange pieces on top. Drizzle sauce over the salmon. Serve with sautéed spinach, mashed potatoes, or vegetables.